Tallinn also known as the ‘Silicon Valley of Europe’ is Estonia’s capital and largest city. The city of Tallinn portrays an ambience that is the sole feature of a city built upon centuries of history, not to forget the image of Tallinn as a global city has become a major tourist attraction. 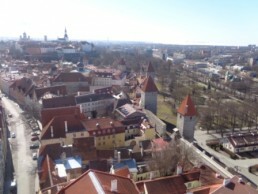 Kevins Travel Diary providing you with essential information on things to do and museums to visit during your time in Tallinn. All information is written from first-hand experience to give you a truly terrific trip inTallinn. Make the most of this travelling information!